Beets are an important part of Eastern European cuisine. They're enjoyed in everything from salads to soups to side dishes. The beauty of this versatile root vegetable is every recipe usually can be enjoyed hot or cold! This brilliantly colored dish can be served as a vegetable or salad, hot or cold. This magenta-colored soup does double duty hot or cold. It warms the toes in winter and cools in summer. This soup, known as beet borscht in Russian, is another hot or cold dish. Add boiled potatoes when eating it hot for a heartier dish, or garnish with sour cream and julienned beets if enjoying it cold. The soup is made with a beet sour that must ferment for at least three days before using. The traditional way to eat barszcz wigilijny is with mushroom ​uszka. The best way to enjoy farm-fresh produce year-round is to can it. Beets are no exception. Pickled beets can be enjoyed as a condiment, salad or vegetable. But be very careful with canning. Make sure to follow your processor manufacturer's directions to the letter. And, as always, if in doubt, throw it out. 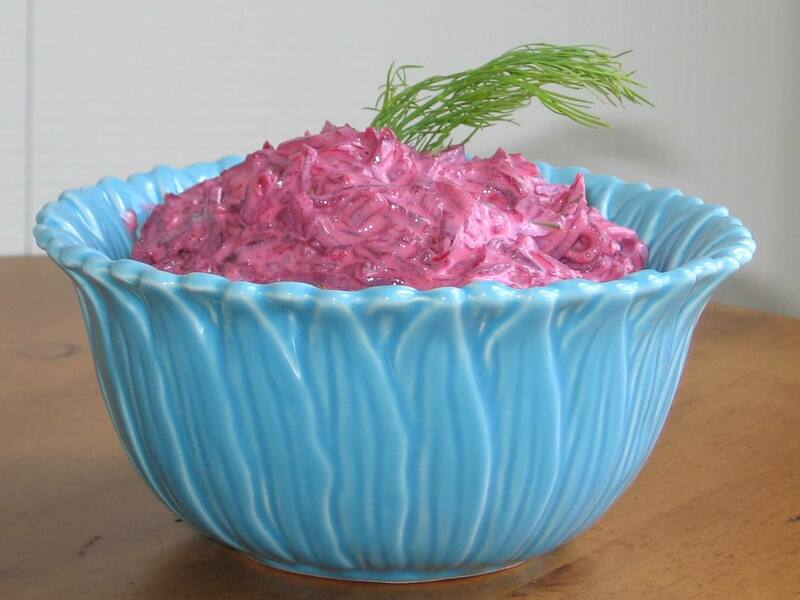 My mother always grated beets into her chrzan for color and a touch of sweetness. In fact, the first time I saw plain white horseradish, I thought it was something else entirely. One taste told me differently!